Leading Icelandic saxophonist Sigurdur Flosason teams up with the stellar trio of Swedish jazz piano star Lars Jansson, featuring Thomas Fonnesbaek on bass and Paul Svanberg on drums. The program will consist of Sigurdur’s newly written music, dedicated to the stark and exotic nature of the highlands of his native Iceland. The music has been recorded by the group and released on CD during fall 2017. 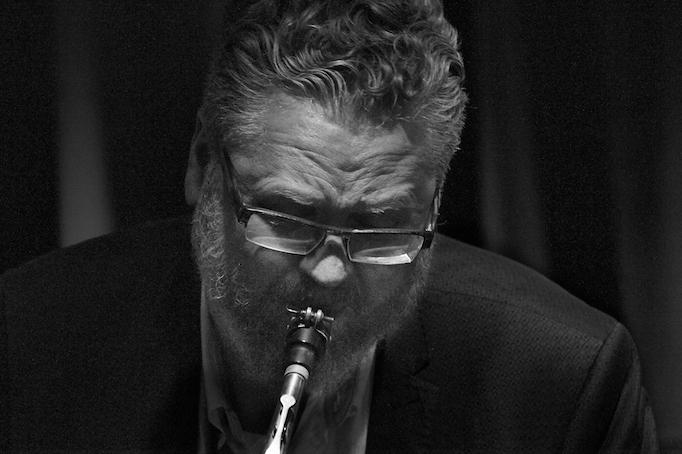 Sigurður Flosason – saxophonist and composer Icelandic saxophonist Sigurdur Flosason started playing jazz as a teenager and attracted attention in his home country early on. He studied at The Reykjavik College of Music and graduated in 1983 with a Performance Diploma in classical saxophone. Further studies at Indiana University in the U.S. where he earned a Bachelor’s degree in 1986 and a Master’s degree in 1988, in both jazz studies and classical saxophone. At Indiana he studied with jazz education guru David Baker and leading classical saxophonist Eugene Rousseau. Sigurdur continued his studies with George Coleman in New York during the winter 1988-89. After returning home in1989, Sigurdur emerged as one of Iceland’s most active jazz musicians, performing frequently at home and abroad. He has recorded close to 30 CDs with a wide variety of jazz music; everything from his own compositions and jazz standards to experimental music and improvisational solo performances with the Icelandic Symphony Orchestra and the Swedish Norrbotten Big Band. Sigurdur is a driving force and frequent conductor of the Reykjavik Big Band and a founding member of the Icelandic Saxophone Quartet. He has performed in all the Scandinavian countries, the US, Canada, Japan, China, Thailand and various European countries. Sigurdur has been much involved and influential in music education in Iceland. Since 1989 he has been head of the jazz department at the F.I.H School of Music, Iceland’s leading jazz school. He has given numerous courses, clinics and workshops in Iceland and abroad, as well as working extensively for the Icelandic ministry of education on curriculum for Icelandic music schools. Furthermore, he has been instrumental in promoting jazz music in Iceland by organizing concert series and festivals. He is on the board of STEF, the Icelandic Composer’s Rights Association. Sigurdur Flosason won 1st price in the American Hoagy Carmichael composition competition in 1987 and was a finalist in Europe Jazz Contest 1990. He was nominated for the Nordic Council’s music price in 2000 and 2003 and is a six times winner of the Icelandic Music Awards. He was also nominated for the Danish music awards in 2011 for a recording with Danish singer Cathrine Legardh. Sigurdur Flosason was City Artist of Gardabaer, Iceland in 2005. In recent years Sigurdur has become increasingly active in Denmark. He has released four CDs on the Danish Storyville label. : “Land&Sky” (2011), a double CD and compositional cooperation with singer Cathrine Legardh. “Nightfall” (2012) and “Daybreak” (2015), CDs of lyrical standards with Hammond organist Kjeld Lauritsen, Jacob Fischer on guitar and Kristian Leth on drums. Finally, “The Eleventh Hour” (2013), a CD of his own compositions with his Copenhagen Quartet featuring Nikolaj Hess on piano, Lennart Ginman on bass and Morten Lund on drums. Sigurdur Flosason is a Yamaha artist. 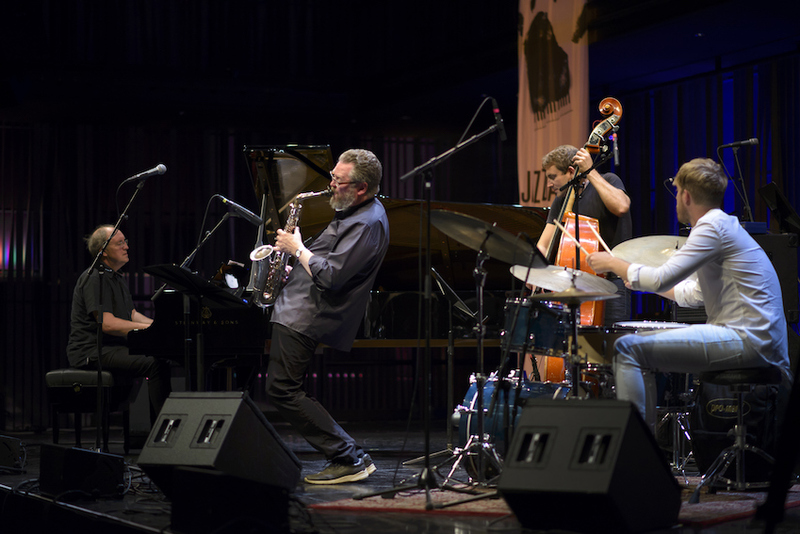 ***** ALL ABOUT JAZZ: Recommended! **** JAZZ WEEKLY: Ringer of the week!